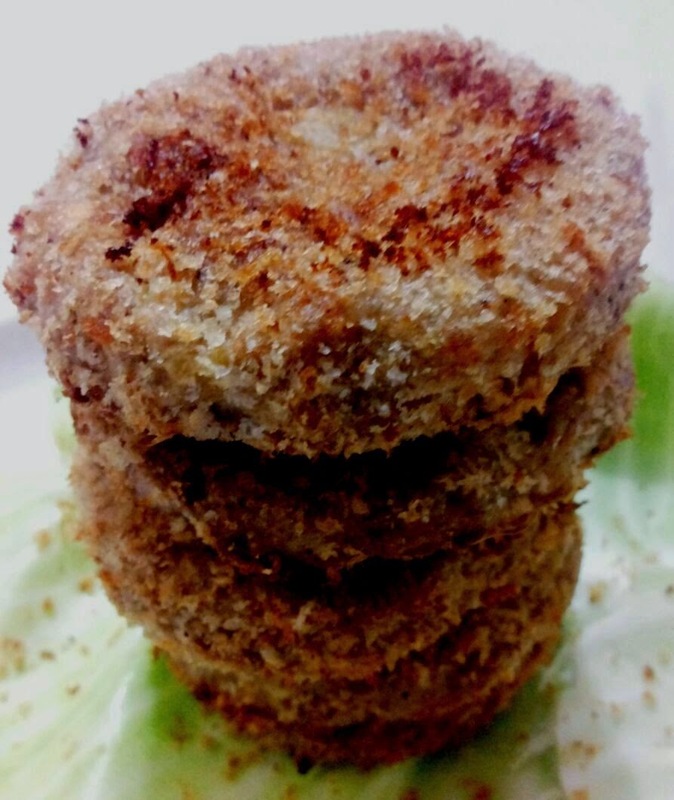 Vegetable kababs or cutlets make great starters and Kaccha kela kabab is no exception. Yes...this one is baked so guilt free to a large extent.It is really easy to make.So all those multitasking ladies.........this one exotic starter is for you.You can win acclodes for this dish without spending hours in kitchen. Donot be disheartened by the long list of ingredients,it is a simple dish and totally fuss free. Boil bananas in a pan(with their peel on) till they are cooked and can be mashed. Take a bowl. Add mashed bananas,potatoes,onion,ginger,garlic,salt,dry mango powder,red chilli powder,coriander powder,green chillies and gram flour in it.Mix all this well to get a firm yet soft dough. 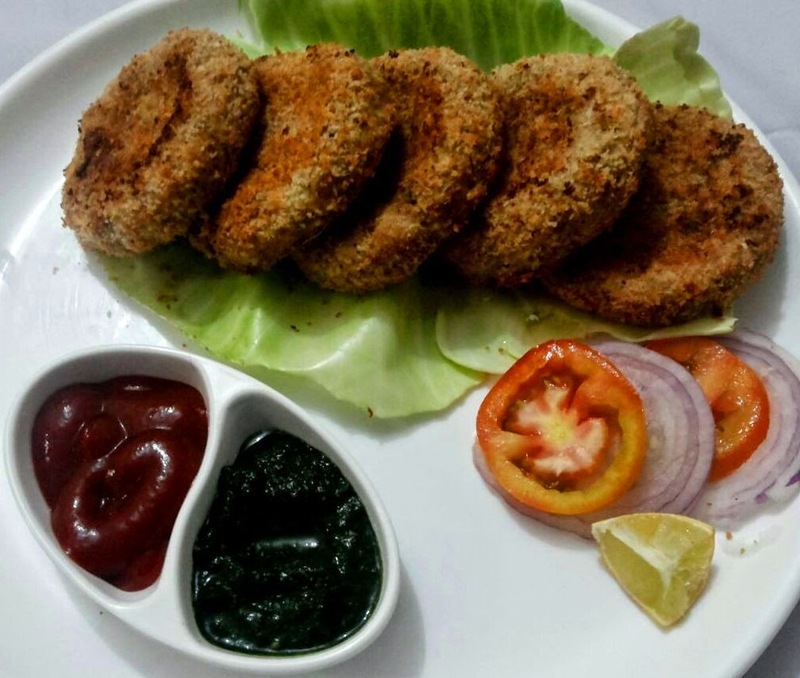 Applying oil in your hands,shape the mixture into kababs /cutlets.Coat the kababs with bread crumbs. Preheat oven to 230 degree celsius.Brush oil on microwave safe non stick flat dish or microwave safe skillet.Place kababs on this dish and place the dish on medium rack in oven for 25 minutes. Flip the kababs after every 8 to 10 minutes for uniform baking. Take out the kababs after 25 minutes and serve them hot with coriander chutney and salad.